Past and Present Street Fighter Games – Playable on PS3™ and Xbox 360, the four critically-acclaimed titles selected from the star-studded catalog are: Super Street Fighter® II Turbo HD Remix, Street Fighter® III 3rd Strike Online Edition, Super Street Fighter® IV Arcade Edition with all costume DLC, and Street Fighter® X Tekken® including all character and Swap Costume DLC. Exclusive Video – The two-disc Blu-Ray set includes I am Street Fighter, a documentary that highlights the profound influence the franchise has had on fans – and vice versa – throughout the years. The collection of videos also includes Street Fighter®IV and Super Street Fighter®IV Anime movies as well as all episodes of the Street Fighter animated series and Street Fighter®II: The Animated Movie. 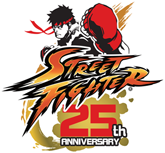 11-Disc Soundtrack – Street Fighter game music spanning the past 25 years, in addition to remixes and fan-created music inspired by past Street Fighter games. 64-page Hardcover Art Book – A tribute to Street Fighter game fans from all over the world, the art book includes fan pieces submitted by professional and aspiring artists alike. Ryu’s Belt – Created to regulation specs, the full-size martial arts black belt is a replica of the one Ryu wears and even includes his classic “Fūrinkazan” in kanji! The Street Fighter franchise has been a hit with fighting game fans since the original Street Fighter was released way back in 1987. Street Fighter II, the game’s 1991 sequel, was the first one-on-one fighting game to allow players to choose from different characters with different moves to use in combat. This forever changed the gaming landscape and inspired other fighting game series like Mortal Kombat, Dead or Alive and Tekken. 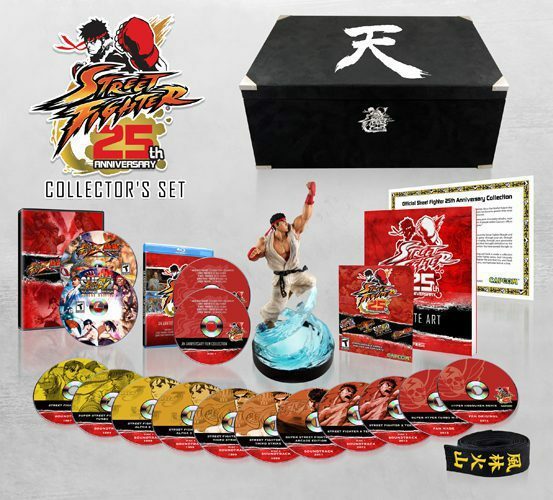 The Street Fighter 25th Anniversary Collector’s Edition is available now on both the PS3 and Xbox 360 from Amazon, Walmart, and other retailers. Below are a couple of images of the collection.